Great healthy side dish that will perfectly compliment fish or poultry. 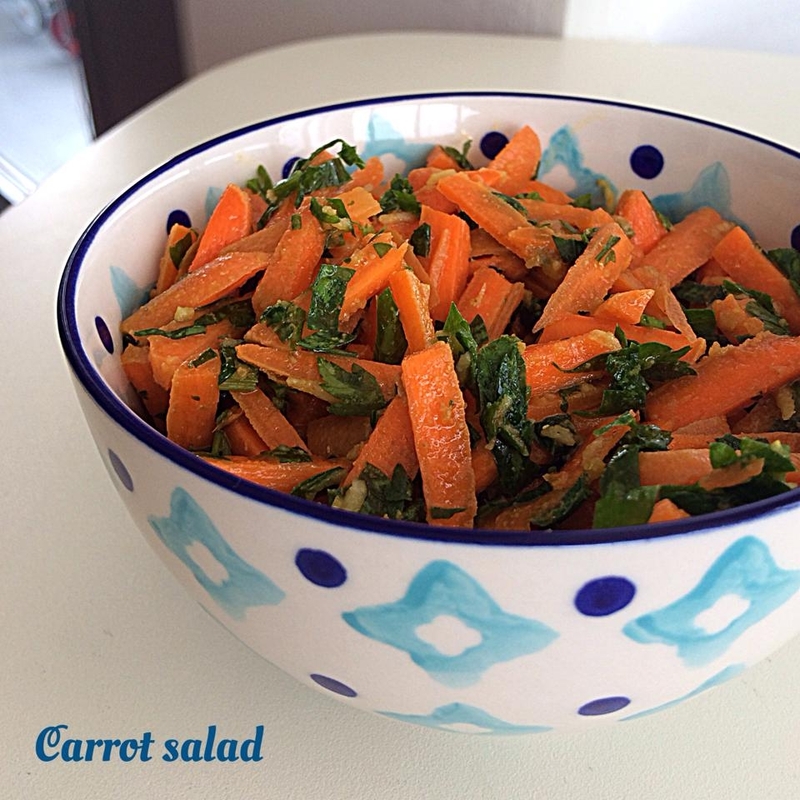 All you need is coarsely grated carrots (or chopped) and parsley. Now, the dressing is what makes it special. Mix 1 tbsp olive oil,1 small clove of garlic, pinch of cayenne, sea salt, 2 tbsp raw apple cider vinegar and main spice coriander powder. Pour over the salad and mix. Leave in the fridge for at least 30 min for flavors to develop. The longer the better. Its got such a nice kick to it. Hope you will love it as much as I did.